Breathe and take a break! 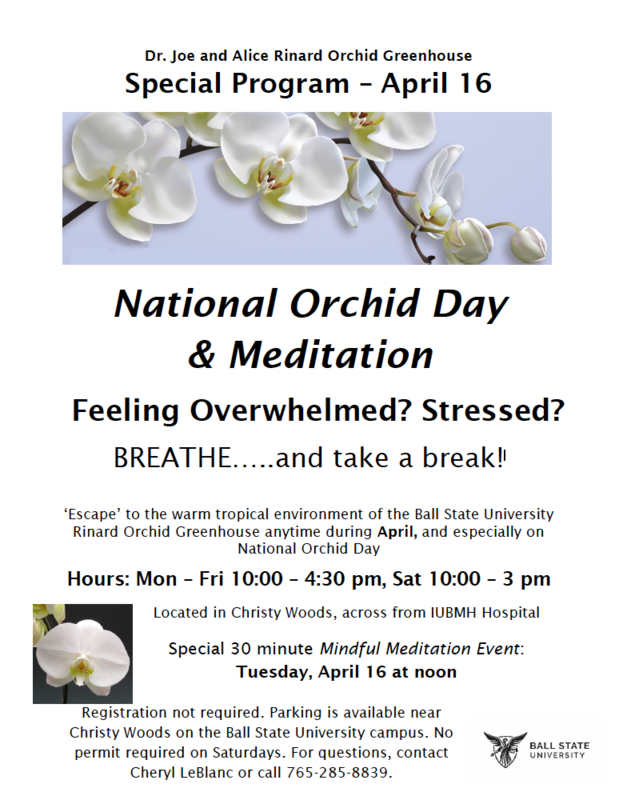 Special 30 minute Mindful Meditation Event: Tuesday, April 16 at noon Registration not required. 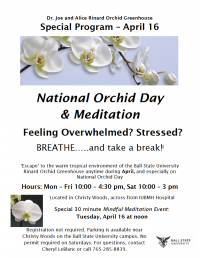 Parking is available near Christy Woods on the Ball State University campus. No permit required on Saturdays. For questions, contact Cheryl LeBlanc or call 765-285-8839.